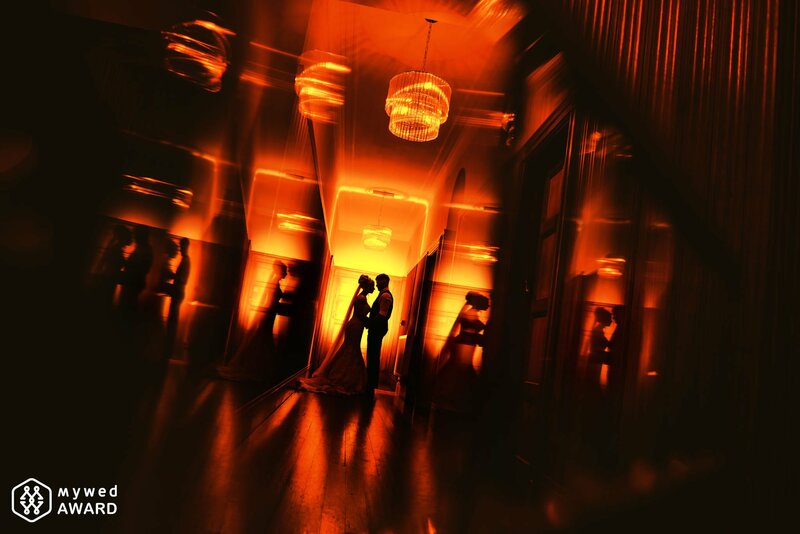 MyWed Awards - FOUR New Wedding Photography Awards! I’m so excited to have received FOUR new ‘Editors Choice’ wedding photography awards this week from MyWed! The first was from Natalie & Callum’s stunning destination wedding at the Hacienda de san Rafael near Seville in Spain. 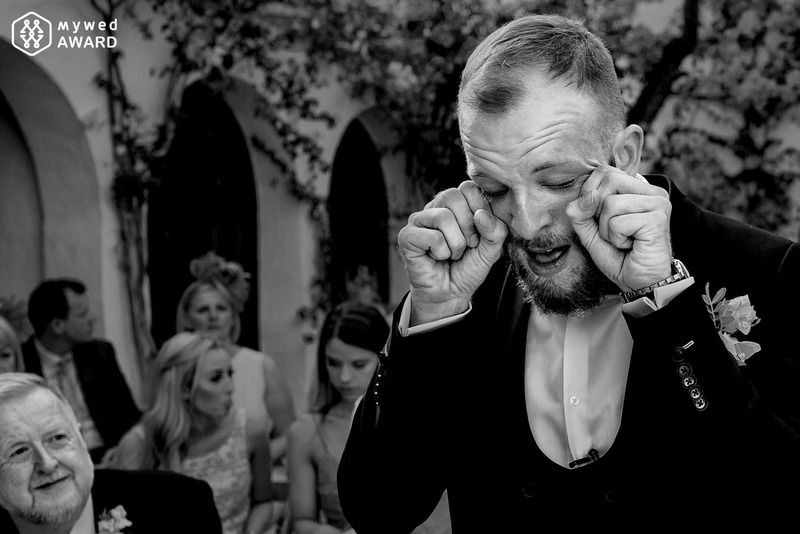 Baking hot and beautiful, this photograph captured Callum’s emotion in the courtyard of the Haci just before Natalie arrived to marry him. The second is from Harriet & Tom’s amazing wedding in Bath, Somerset. 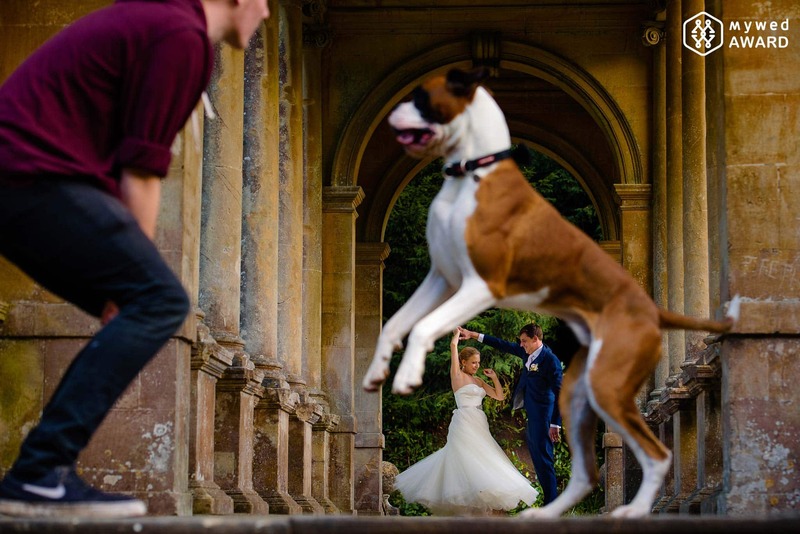 Pictured with their best friend, Fudge the boxer, on the Palladian Bridge at Prior Park in Bath just after their wedding ceremony – this particular photo went completely viral on Facebook after dog lovers saw it! Award number three features a creative low light portrait of Sarah & Nathan in the evening of their wedding at Coombe Lodge in Blagdon. And the final award winning wedding photograph of a little girl playing with sofa cushions with her Dad, was from Liz & Georges beautiful Christmas wedding at Huntsham Court near Exeter. Who else to have wedding photos with but their best friend, Fudge the boxer! 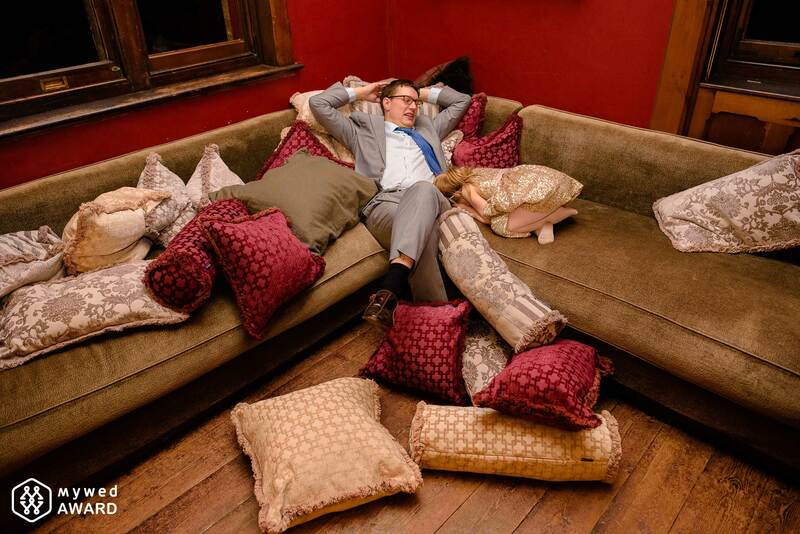 Sometimes weddings are just too much for the tiny ones! If you loved these MyWed Awards you might also enjoy looking through my other award winning wedding photographs here. Yeah - I saw the dog photo and loved it - great capture!!! !